Most people are conditioned to see second passports as something for crooks, thanks to a steady drumbeat of negativity from the U.S. government and the mainstream media. But they’re not. When you hold a second passport, it opens a world of opportunities to help you protect your finances, safeguard your privacy, and to grow your financial nest egg free from high taxes. Acquiring a second passport and/or citizenship issued by a peaceful, non-controversial country—such as Canada—might save your life in times of political unrest, civil war, or other situations. For good reasons, countless thousands of international businessmen, wealthy individuals, and smart folks worldwide have an alternative, second passport as additional life insurance. In this increasingly dangerous world, acquiring a second citizenship can be a wise decision, an investment in your future. It can provide a protective shield that extends to your spouse and children. Having and using a second passport certainly is not sinister evidence of criminal intent or illegal tax evasion; it is an intelligent means of defending yourself in the chaotic age in which we live. A second citizenship/passport can also serve to reduce your taxes and protect your assets. It allows greater asset protection, stronger financial privacy, higher returns in carefully selected markets, more diversification of investments and among currencies, increased safety and security—both personal and financial—and deferred taxes on annuities and life insurance. Due to the many restrictions placed on U.S. citizens, opening a foreign bank account becomes much easier if you have a second passport. An offshore bank account permits investing in almost any security worldwide that’s traded on a major exchange, many on the internet. This includes not only common stocks, but also a growing list of foreign exchange-traded funds (ETFs). Privacy is a huge bonus that comes with a second passport. It can protect your identity by keeping your dual nationality a secret for safety reasons. U.S. citizens abroad are subjected to discrimination and threats, so a second passport—say from Ireland—allows safer access to countries that generally don’t welcome U.S. citizens. Also, traveling with that extra passport avoids having entry/exit stamps in your American passport from countries to which the U.S. government restricts travel. 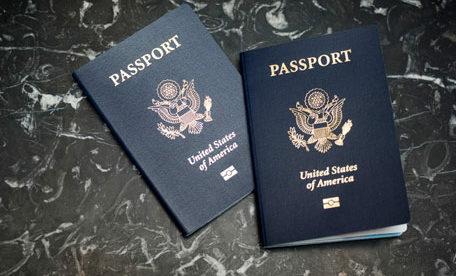 For U.S. citizens, a second passport has another benefit—you need it before you legally disconnect, once and for all, from the U.S. tax system. The only way to eliminate all U.S. tax liability is to end your U.S. citizenship, but not before you have another official citizenship. 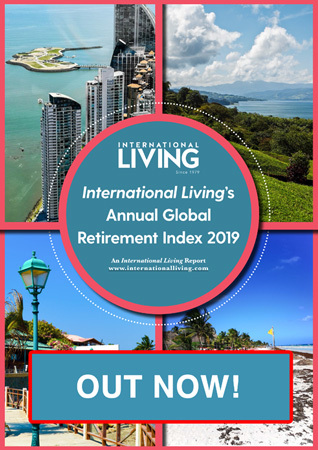 Surrendering U.S. citizenship, may enable you to live or retire in a paradise of your choice while legally avoiding all, or nearly all, U.S. taxes on personal and business income, including most capital gains and estate taxes. In other words, you could pay zero U.S. taxes—as in, never having to pay taxes to the IRS again. Americans have a legal right to relinquish U.S. citizenship, but to avoid becoming stateless, obtaining a satisfactory passport and citizenship from another country must come first.